How to Convert WMV to iPad for Unlimited Playback? Many iPad users have troubled by the problem. Usually, convert WMV files to the formats supported by iPad is needed, and then transfer them on your iPad to enjoy these video. The following guide will show all of you how to do. 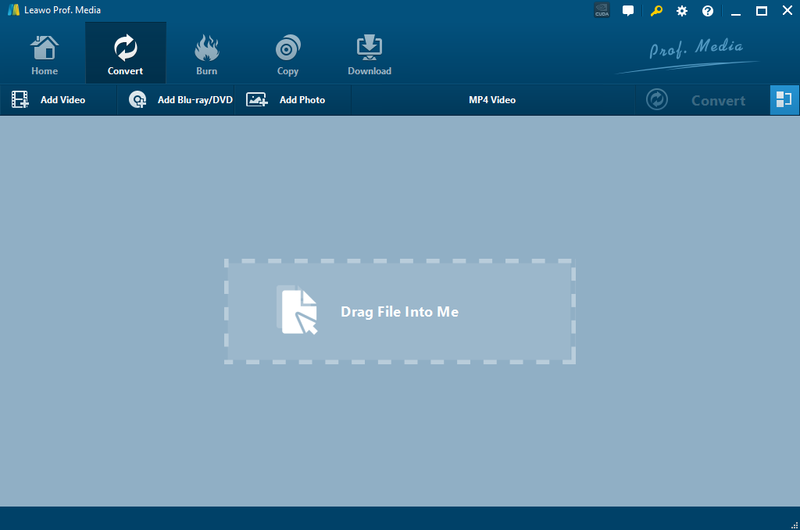 Part 1: Why need to convert WMV to iPad? WMV is a video compression format developed and introduced by Microsoft. It is used wildly in saving media data online and offline. But WMV files cannot play on iOS based devices, that’s because only MP4, MOV and M4V are compatible to iPhone, iPad and iPod. IPad (iPad mini included) doesn’t have the capability to play WMV videos. It only supports MPEG-4(*.mp4) and H.264 (*.mp4) video format. That means WMV video can’t played on your iPhone, iPad or iPod touch. That’s to say, you need to convert WMV to iOS-supported format firstly. Here we offer you a step-by-step tutorial about how to convert WMV to iPad format with the help of Video converter in several steps. Leawo Video Converter is a professional video converter that allows you to have an overall control of the video conversion. With the help of the converter you can convert and transfer WMV files to iOS-friendly format from computer to your iPad without effort. It also supports converting many other incompatible videos, such as mkv, avi, flv, etc., its built-in editing features enable users to customize your own video without quality loss and adding 3D effect to 2D video to create exciting visual effects and interface with the automatic optimization of the videos. More than anything, you can also transfer videos from iPad to computer/iTunes and another iPad directly. Want to give it a try? And follow us to make it easy. Click to download Leawo Video Converter through the buttons below, install and launch it on your computer. When you launch the Converter, please click the “Video Converter” button on the bottom right homepage to enter the interface of adding file. And then click “Add video” button on the top of navigation bar or click “Drag file into me” button in the center of the pop-up window to select the videos from computer or add the videos by dragging and dropping them into the program. From “Profile”, click the drop-down arrow and choose “iPad” as the output format from the list. Using the search bar to enter the key word “iPad” in search box, the search bar can make users find the format they want at faster speed. After completing all settings, you can click the button of “Convert” to make conversion of WMV to iPad. Now you transfer your video into your iPad and enjoy it freely. This powerful WMV to iPad Converter can help you convert WMV and other popular video formats to iPad compatible formats fast and conveniently. Besides the way above, other free online converters also can provide you the solutions to some extent. 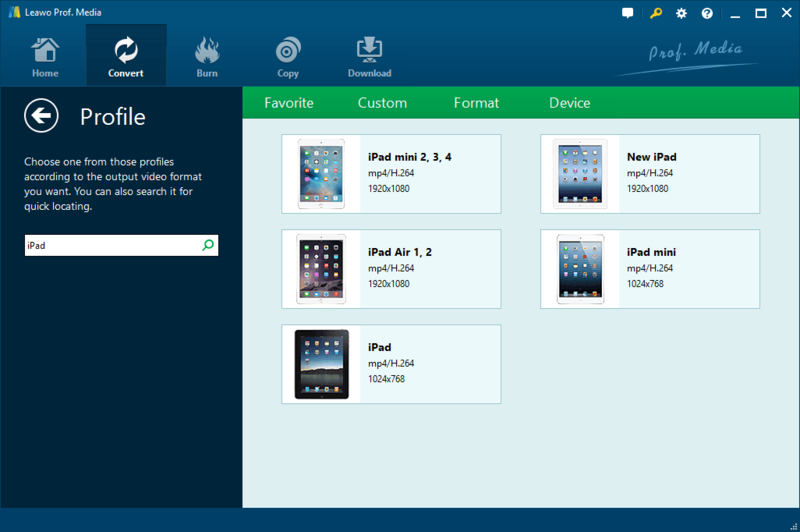 You can also choose to convert WMV videos to iPad compatible formats online and free. Actually, the free online WMV to iPad Video Converter have the general and similar operational process. Let’s take the Zamzar as an example. The instructions are as follows. Step 2. 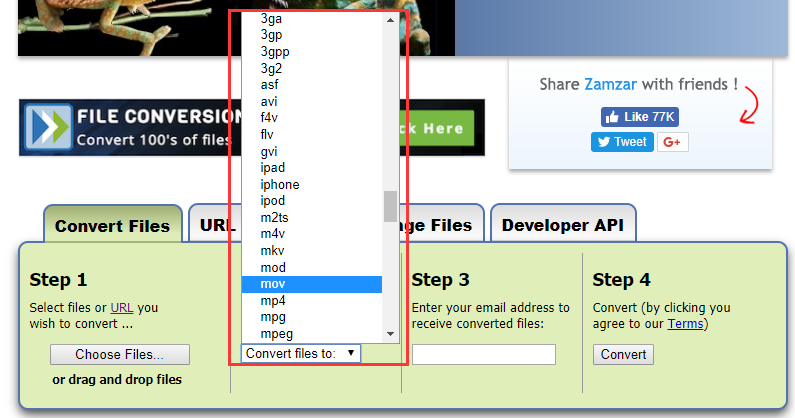 Select WMV files you want to convert to iPad. Step 3: Choose the format to convert to, you can just choose the formats supported by iPad in the list. Step 4: Enter your email address to receive the converted files. And then click the “Convert” button. 1.The WMV file you want to convert should have the limited size, the maximum size is 50 MB. 2. This converter have no built-in editor for editing or personalizing your video. 3. The Online Converter has the slower speed to make conversion. Sometimes, it is up to your network speed, the total size of your format or the website’s rate of loading. 4. Your email address is required to receive your converted iPad video formats when convert WMV to iPad Video in this free online converter. Regarding these two iPad Converters, two ways have their own pros and cons with similar steps. Apparently, Leawo Video Converter can converter a large amount of files at a time with high speed, which is about 90 times faster than any other similar video converter online, users can stack up videos to be converted quickly. So, there is no limitation of video size. Its built-in editing tool is available to provide various effects as you need with a nice, fluid drag and drop feature, and it is well-compatible with quite a lot of devices, such as mobile phone, tablets, PCs, websites, etc. All in all, methods above can solve your problems. You can choose the appropriate way according to your request. If you are a professional one, Leawo Video Converter is the better option for you, while you just want to convert video occasionally or want to use the free one, online video converter is much better for you. We sincerely hope the methods can help you convert WMV to iPad simply and successfully.